Alexandre Dumas, fils (July 27, 1824 – November 27, 1895) was the son of Alexandre Dumas, père, who followed in his father's footsteps becoming a celebrated author and playwright. Alexandre Dumas fils was born in Paris, France, the illegitimate child of Marie-Catherine Labay, a dressmaker, and novelist Alexandre Dumas. In 1831 his father legally recognized him and ensured the young Dumas received the best education possible at the Institution Goubaux and the Collège Bourbon. At that time, the law allowed the elder Dumas to take the child away from his mother. Her agony inspired Dumas fils to write about tragic female characters. In almost all of his writings, he emphasized the moral purpose of literature and in his 1858 play, Le fils naturel (The Illegitimate Son), he espoused the belief that if a man fathers an illegitimate child, then he has an obligation to legitimize the child and marry the woman. In 1844 Dumas fils moved to Saint-Germain-en-Laye to live with his father. There, he met Marie Duplessis, a young courtesan who would be the inspiration for his romantic novel, La dame aux camélias (The Lady of the Camellias). Adapted into a play, it was titled in English (especially in the United States) as Camille and is the basis for Verdi's 1853 opera, La Traviata. Although he admitted that he had done the adaptation because he needed the money, he had a huge success with the play. Thus began the playwriting career of Dumas fils which not only eclipsed that of his father during his lifetime but also dominated the serious French stage for most of the second half of the nineteenth century. After this, he virtually abandoned the novel (though his semi-autobiographical L'Affaire Clemenceau (1867) achieved some success). 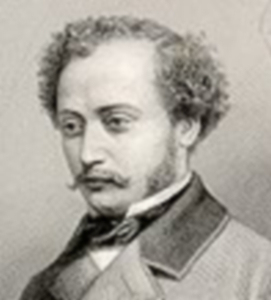 In 1864, Alexandre Dumas fils married Nadeja Naryschkine, with whom he had a daughter. After Naryschkine's death, he married Henriette Régnier. Alexandre Dumas fils died at Marly-le-Roi, Yvelines, on November 27, 1895 and was interred in the Cimetière de Montmartre in Paris, ironically only some 100 metres away from Marie Duplessis.